It seems like Jaisa and I have Christmas cookies on the brain. Between tales of the cookie swap and Lauren's peanut butter stuffed cookies, plus the Mint Milano bark, we've been busy mixing, baking, packaging, and, of course, eating. 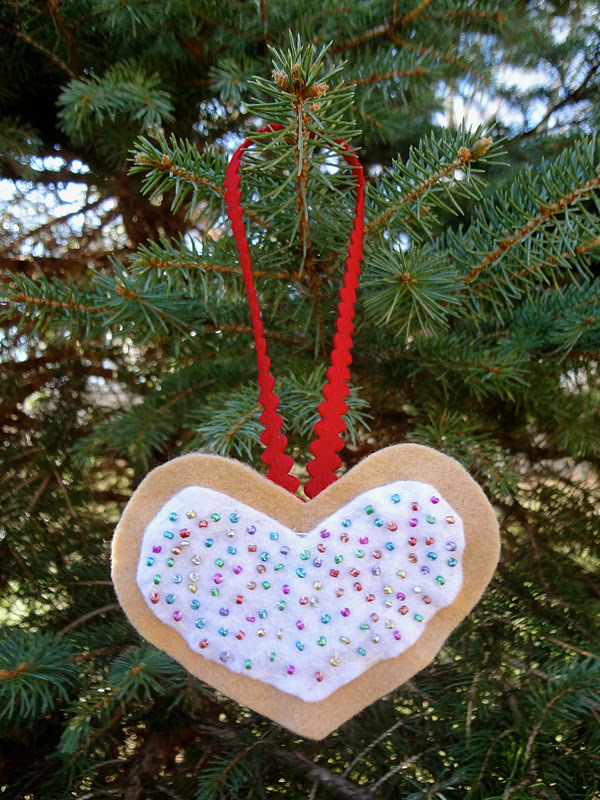 Here's a little cookie ornament that represents our love for all butter/sugar/egg/sprinkles combinations. The season for Christmas cookies is coming to an end... enjoy them while you can! Check out some of HH's favorite sweet treats and let us know what you think. Stay homey and stay hungry! What a cool ornament, how long did it take you to sew in the "sprinkles"